News from LMCU: Finance a Little Fun This Summer! Finance a Little Fun This Summer! Whether you are looking at a new or used vehicle, RV or summer toy, you will find our financing options easy and affordable. 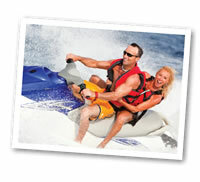 Lake Michigan Credit Union offers a variety of loans designed to fit your lifestyle. It's easy to apply online - and our handy calculator tool makes it easy to estimate your payment. Visit us at LMCU.org/Loans to get started today.